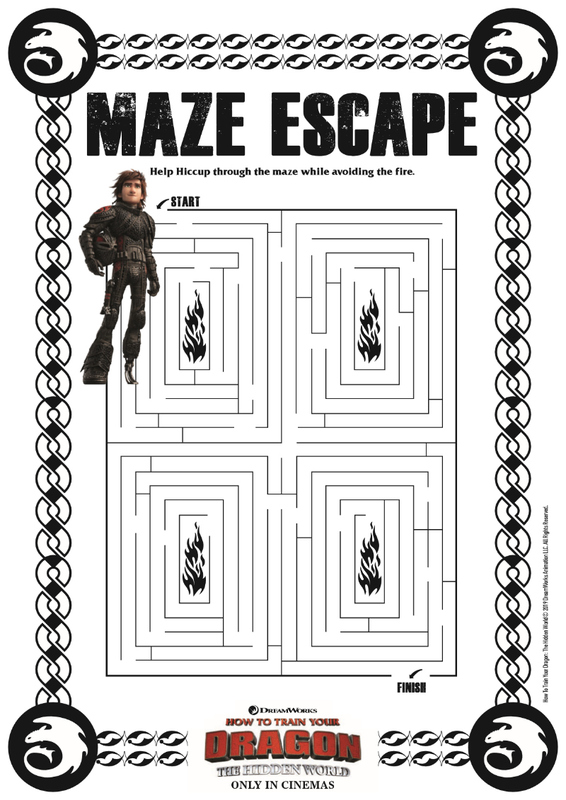 Click HERE to download the free printable Hiccup maze, so your kids can enjoy this How To Train Your Dragon challenge. 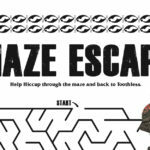 When you figure out how to avoid the fire, you can guide Hiccup through the maze. 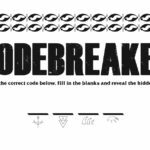 Can you help him escape or will he get burned? From DreamWorks Animation comes a surprising tale about growing up, finding the courage to face the unknown… and how nothing can ever train you to let go. What began as an unlikely friendship between an adolescent Viking and a fearsome Night Fury dragon has become an epic trilogy spanning their lives. When the sudden appearance of a female Light Fury coincides with the darkest threat their village has ever faced, Hiccup and Toothless must journey to a hidden world thought only to exist in myth. 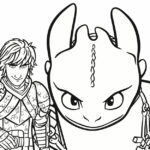 In this last chapter, Hiccup and Toothless will finally discover their true destinies, and dragon and rider will fight together to protect everything they’ve grown to treasure. 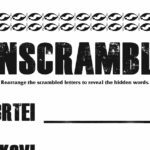 Check out my other free How To Train Your Dragon printables, so you can have more family fun!